Much like with the original game in the series, Splatoon 2 offers players a host of different weapons, abilities, and general gameplay strategies. Among those abilities are Special Abilities that work alongside other weapons and gear to provide players with a means to customize their inkling to their individual play styles. And, much like in the first Splatoon, Splatoon 2 offers up the Tenacity ability that provides a buff to the Special Gauge recharge rate any time teammates are waiting to return to battle. Read on to learn all the important details regarding Tenacity in Splatoon 2 for the Nintendo Switch, including what it does and when it's most useful. Tenacity is an ability in Splatoon 2 that provides a boost to players' Special Ability guages when their teammates are waiting to respawn. Its a risk-vs-reward type ability, meaning that its efficacy increases with each downed player. When only one teammate is down, Tenacity provides a Special Gauge boost of 2.19 points per second, and that number increases to 4.37 points per second when two inklings are down, and to 6.56 points per second when all three other inklings are down. Unlike Special Charge Up, which provides a similar buff to the Special Gauge, Tenacity only works when teammates are down -- if everyone on a team is alive, Tenacity provides no bonus at all. Consequently, Splatoon 2 players who want to make use of Tenacity should be aware of its particular effects as well as its synergies with some of the game's available weapons and play styles. Splatoon 2 players that like to make use of their special weapons generally have two choices of useful abilities: Special Charge Up and Tenacity. Special Charge Up is a solid ability on its own, and many players prefer it for its flat increase to Special Gauge charge rate, which can be stacked to provide up to a 30% boost. With that said, there are instances in which players should probably choose Tenacity over Special Power Up, and it all depends on their weapons of choice. Since filling the Special Gauge requires players to spread ink around the battlefield, some weapons are left at a disadvantage when it comes to utilizing Special abilities. For instance, weapons like Chargers or Rapid Blasters can be powerful in the right hands, but really don't do much to cover turf. In these cases, it makes more sense to use Tenacity, since their Special gauge can continue to recharge without having to ink more turf. Coupled with the fact that Special Abilities can easily turn the tide of a battle, Tenacity stands to become a game-changer. Of course, the flip side of this is also true -- weapons that are better at turfing are a better match for Special Charge Up, which can stack its bonus on top of all ink spread, giving players frequent opportunities to make use of their Special abilities. Which Splatoon 2 Gear Provides The Tenacity Ability? So far, the Tenacity ability in Splatoon 2 is limited to headgear only, meaning that its effects are unable to be stacked. Still, Tenacity provides a massive boost when three teammates are down, and strategic players that often find themselves on the outskirts of turf conflicts can make use of the ability with various pieces of gear. As of now, Tenacity can only be provided through three different headgear options: the Armor Helmet Replica, the Soccer Headband, and the MTB Helmet. 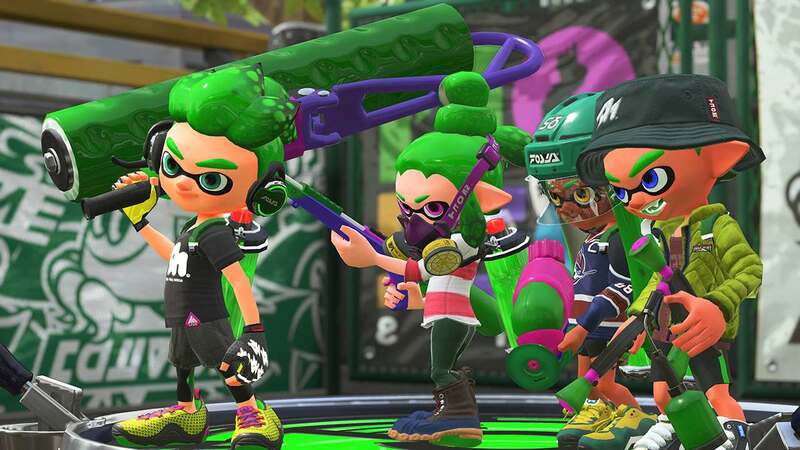 The Soccer Headband and MTB Helmet can be acquired from the store through Tentatek and Zekko, respectively, whereas the Armor Helmet Replica can be found through Cuttlegear or by making use of Marie's amiibo from the original Splatoon amiibo collection. Searching for more great Splatoon 2 content? We've got an assortment of how-tos and boss-specific strategies featured over on our Splatoon 2 guide hub.